Science Saturday on January 26th attracted over 460 guests with the Amazing Migration theme. Nick Stong, Education Program manager organized engaging activities and crafts about long-distance animal travels. And, as tradition goes, it was also the day to celebrate Sandy the Whale’s birthday. Children of all ages gathered to sing while staff handed out birthday cake and photos were captured. This year was no different, except that, while Sandy was another year older, she was looking exceptional for her 45th birthday! Some of you may remember Sandy’s 2018 birthday. There was a reunion of artists, scientists, community leaders and residents that gathered in the Museum’s bird exhibit gallery. Guests came to honor Sandy’s artist and creator Larry Foster. Former Museum staff and members of the Monterey Bay Chapter of the American Cetacean Society who helped in the 1982 ‘Whale Fund’ campaign were present. Larry spoke about his background, how he created Sandy, and with his humor and warmth answered questions, including the inevitable, “How did Sandy get her name?” Larry, his wife Mary, and dog Jack traveled from their home in Fort Bragg where Larry is working on his biography. They were given a typical Home Town warm welcome for this celebratory reunion. Current and former Monterey Bay Chapter members of the American Cetacean Society shared stories, caught up and enjoyed time with the guests of honor. 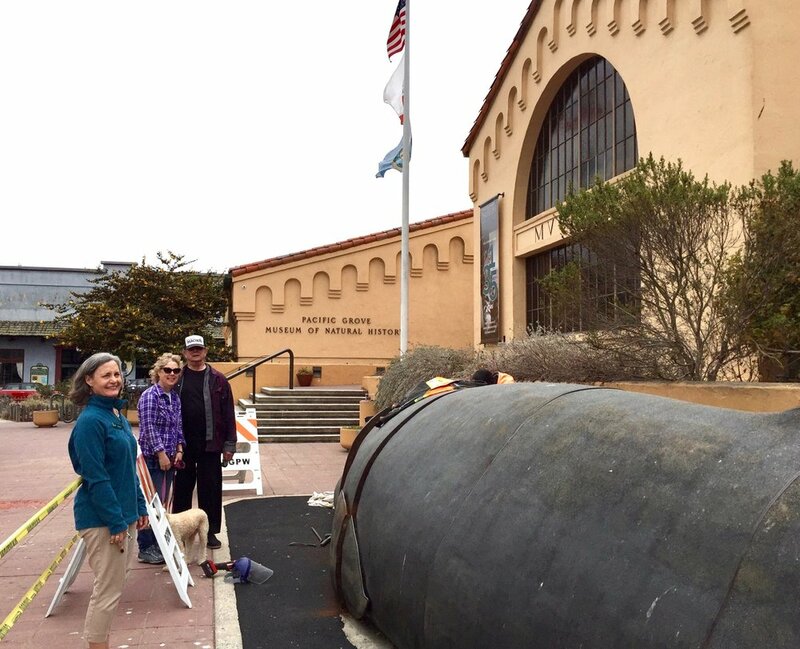 ’Whale Fund’ group that led the way in making Pacific Grove Sandy’s forever home. (Standing left to right) Puckett, David Shonman, Milos Radakovich, Vern Yadon, Larry Foster and Paul Finnegan. (Front) Sandy’s fans celebrating her birthday and enjoying Science Saturday activities. At the reunion, Mayor Pro Tempore Robert Huitt was introduced to Larry and Mary. During their conversation, Larry mentioned that maintenance on Sandy was needed. Through the following months, the three kept in touch. As City Council Liaison, Robert Huitt brought the discussion to a Museum Board Meeting. It had been 44 years since Sandy was fabricated and she had been at the current location since the early 1980s. Over time there had been settling and natural aging with exposure to salt air and moisture. There were noticeable gaps between a few sections. 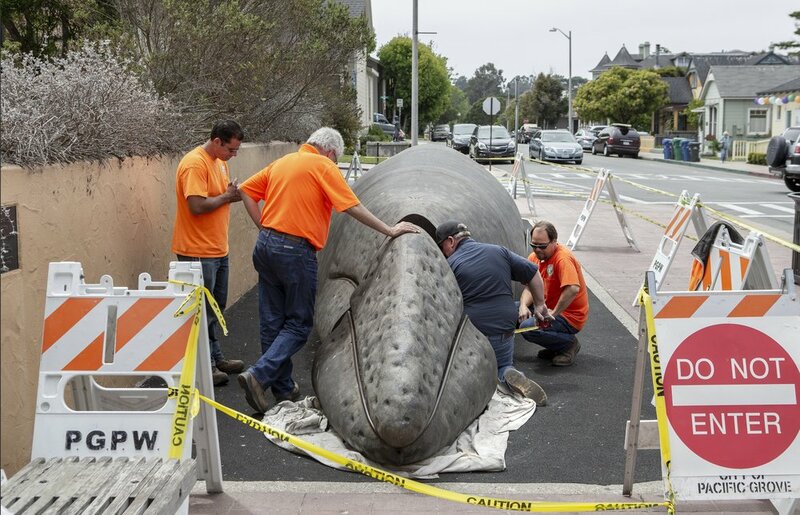 City Manager Ben Harvey recognized the whale needed attention; and that it was part of the Museum’s collection, an art sculpture, and was also deeply connected to community. He knew the artist needed to be involved. The Public Works Department was contacted, communication began and an assessment was made. The team realized that, beyond maintenance, a long term plan was needed. So dates were set and the team forged ahead July 2018 for Sandy’s restoration. Enjoy a few photos below from the successful restoration of Sandy the Whale. Linseed oil was applied to Sandy’s surface one week before the work was started. Roque Pinheiro, Public Works (PW) Buildings & Grounds Supervisor had performed maintenance on the sculpture since it’s arrival in 1981 and led the PW crew. This photo shows him “in the belly of Sandy” working on disassembly. City Manager Ben Harvey was confident in the City’s resources. PW staff was organized by Director Dan Gho and they were determined to see the project to completion. 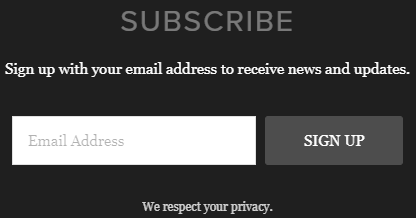 Sections were detached. Koji Stewart and Sam Crosby sanded the frame edges. A rust preventative and weather stripping were applied by and Koji Stewart and Phillip DaSilva. A silicon rubber seal was added for long term protection. The interior floor was cleaned and nothing unusual outside of leaves and spiders was found. PW Mechanical Division’s Arlon Moore (blue shirt) designed and fabricated a custom stainless steel piece to replace a deteriorated portion of the frame. This was crucial to aligning the sections for assembly. From fluke to rostrum Sandy was given a make-over. She was temporarily ‘off-climbing-limits’ during Monday’s Farmers’ Market and the days of restoration. The Museum’s Executive Director Jeannette Kihs was also part of this effort. Everything seemed so timely as banners waved in recognition of the Museum’s upcoming135th anniversary. After months of dialogue there was a joyful anticipation for the project’s completion. Mary and Larry Foster poise here with Mayor Pro Tempore Robert Huitt who provided leadership and support. Fans enjoyed the opportunity to share stories and compliments with the Fosters during their visit. Larry, known for his anatomically correct work, pointed out Sandy’s ear to resident Karen Gunby. The grand finale was to align all eight sections seamlessly. 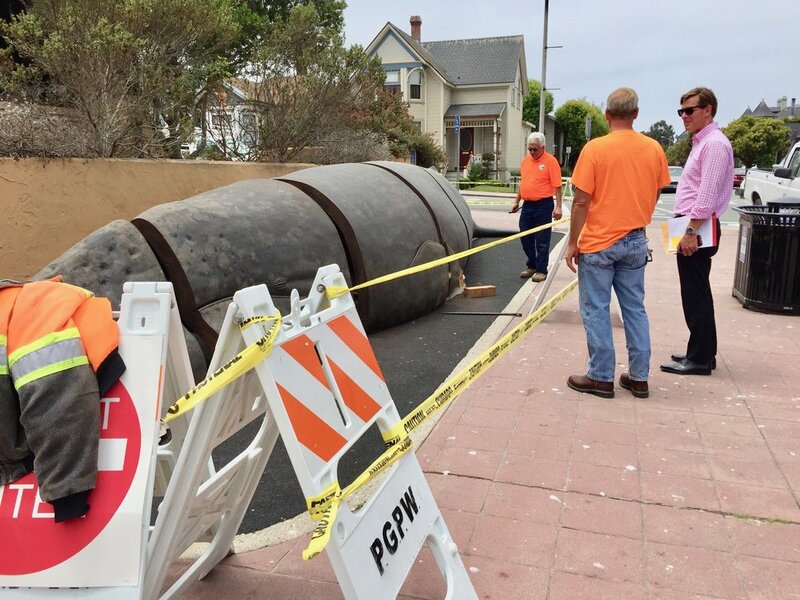 The City’s PW crew completed all facets of the restoration except the need for mobile welders. Sand City’s “Coastal Fabrication Company” installed the new custom piece. Larry, Arlon and Roque recorded the date ‘July 18, 2018’ on the piece — a hallmark to the ingenuity, skill and camaraderie involved in the restoration. Celebrating the success! PW crew applied their multiple talents and tools with high standards for long term preservation of the sculpture. Here is a photo of the final assembly team (L to R): Paul Hughes, Terry Robinson, Arlon Moore, Roque Pinheiro, Sandy, and John Goss. City Manager Ben Harvey gave a presentation at the August 1, 2018 City Council meeting. Larry Foster’s appreciation for the City, the Museum and PG community, along with historical notes was shared in a “Letter to the Editor” (Cedar Street Times, page 16 - July 20, 2018). Sandy is a treasure in the heart of Pacific Grove and a centerpiece of inspiration. Thank You to all who helped in the restoration success! and Joyce Halabi’s enthusiasm as Sandy’s fan and for sharing her excellent presentation.